The islands of Thailand have got to be some of our favorite places in the world. Sure, Thailand has so much: the frenetic chaos of Bangkok, and serenity of the northern hill regions, and of course, the incredible food. But the islands (or Koh’s, in Thai) are special. There are options for every type of traveler, as well. From quiet secluded white sandy beaches to party ’til you drop full moon parties and world class scuba diving, there are islands and beaches that fulfill every requirement. But Thailand has hundreds of islands, so how could we possibly sort through them all and decide which are our favorites? We cheated! We asked other Thailand travel experts their picks for the best Thai Islands. Below are twelve favorite islands from travelers and travel bloggers, along with their insider tips and some of their favorite photos. Koh Chang checks all the boxes for us. Whether we’re looking for quiet beaches or a party scene, backpacker huts or 5-star resorts, everything is available on this island. We first visited Koh Chang five years ago, and at that point was pretty sleepy, discovered by a few expats and tourists, but primarily a destination for local Thais. It’s grown a lot since then, and runs the risk of all the changes that “being discovered” entails, but still hangs on to it’s quiet vibe in many areas. The upside to these changes are that there are options for anything you want to do – including many more restaurant options that are still quite affordable. One of our favorite activities in Koh Chang is to rent a scooter and travel the south along the single main road, ending up at the Bang Boa Floating fishing village. 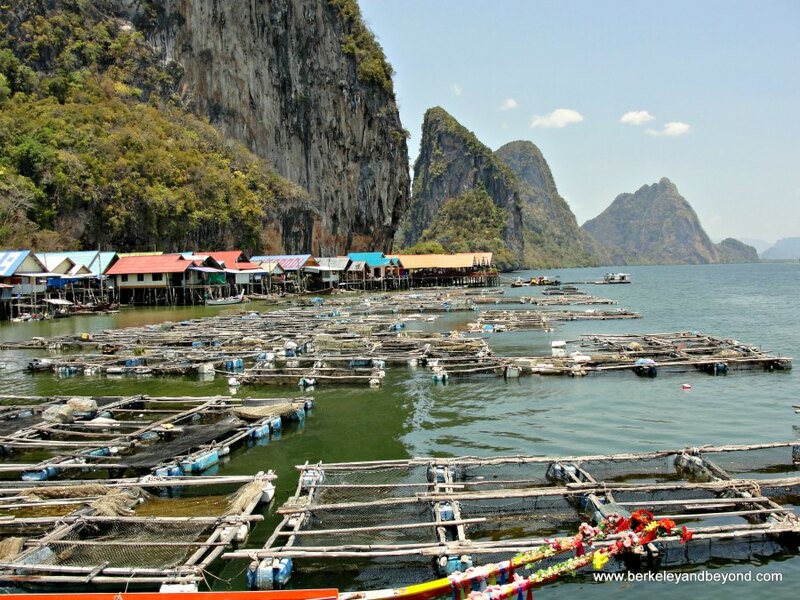 Essentially, the entire village lives on the pier over the water, and you can wander through narrow alleys checking out the shops selling souvenirs, and restaurants serving up fresh seafood. Hint: try the curried crab! At the end of the pier, you can catch boats offering scuba and snorkeling day trips. If you want to discover more about this charming island, check out full post on things to do in Koh Chang. 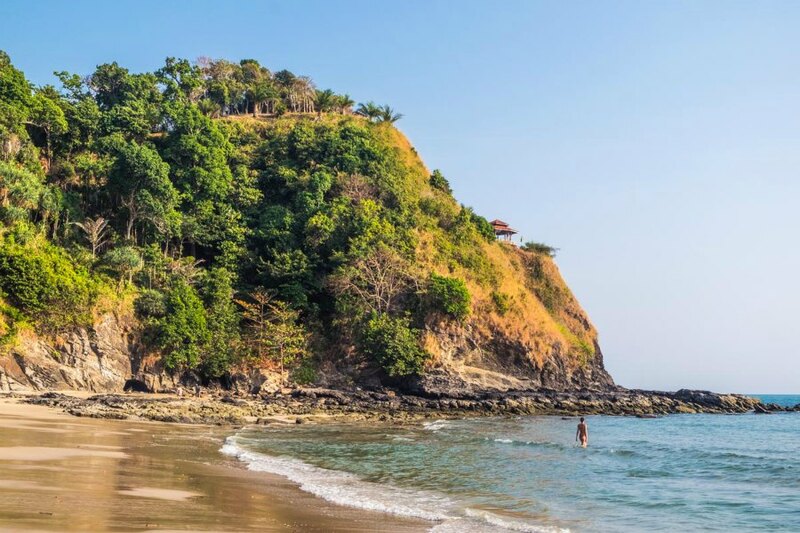 If you’re a couple and you’re looking for a quiet, charming and relaxing island in Thailand, then make sure to get to Koh Lanta! There’re eleven beaches and the farther south you go, the more serene they are. We highly recommend Klong Nin beach that is somewhere in the middle. It’s not too busy as the beaches in the north, and it’s a great starting point to explore the whole island on a motorbike. If you love local life, head to a local market in the village. A great experience! If you’re more an active traveller, rent a scooter and travel around Koh Lanta with a breeze in your hair. The roads are fine, only in the very south they are more hilly and curvy, but still manageable. For nature lovers, there’s plenty of options: from visiting the National park, snorkelling, island hopping to remote islands of Koh Lanta. Talking about nature, if you love animals and want to support a great cause, we recommend to stop by at Lanta Animal Welfare, a nonprofit sanctuary that cares and sterilises stray dogs and cats in Koh Lanta and its suburb. Once you’re done with beaches (that is quite impossible in Koh Lanta as they are just beautiful), head to Lanta Old Town in the south. Here you can hang out with other travellers and locals in small cafes or attend one of the festivals that is organised here. 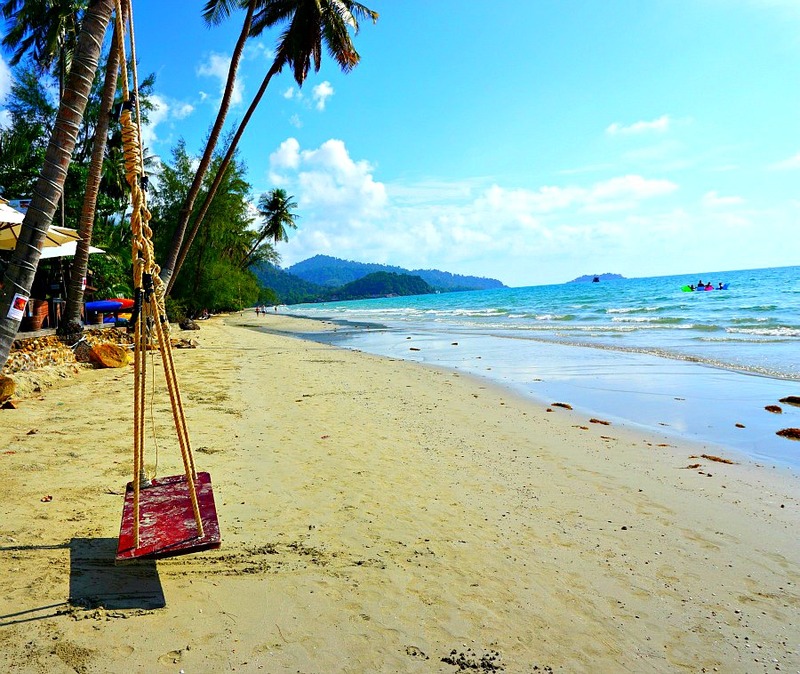 We spent 6 weeks on beautiful Koh Samui which gave us the chance to really get to know her. As the second largest island in Thailand we expected to find an array of things to see and do and we were definitely not disappointed. Koh Samui has been on the tourist radar for quite some time so she is well versed in what her visitors want and is also blessed with a natural and diverse beauty. Here you will not only find the idyllic palm fringed white sand beaches that Thailand is known for but also lush rain forest, scenic coconut groves and refreshing waterfalls. On the man made side of things Samui also has something for everyone. For the backpacking or party crowd there are basic beach side bungalows scattered around the island, a lively nightlife in Chaweng and a chilled out vibe in Lamai. For those looking for a posher experience there are 5 star resorts and gourmet dining to please every taste as well as plenty of mid price range hotels perfect for families or couples. One interesting option the boutique resort The Library that has a distinctive red swimming pool. You’ll never get bored on Samui as you have plenty of activities if you get tired of laying on the beach. There’s water-sports, adventure tours, hiking, Muay Thai fights, golf, water-parks, a big fancy mall for the shoppers and plenty of spas and yoga for the wellness focused. Like I said…something for everyone! Our personal favorite area, and also where we stayed was Fisherman’s Village in Bophut. It is much quieter than Lamai and Chaweng and there is a French Village feel to it with charming boutiques, cafes, bars and restaurants and an awesome walking street market every Wednesday and Friday. Plus it’s only a short ride to the busier areas when we felt like some dancing on the beach. There is so much to see and do on Samui that even with six weeks we didn’t exhaust all the options. We did a pretty good job trying though and created our own “Best of Samui” post to share our personal favorites. 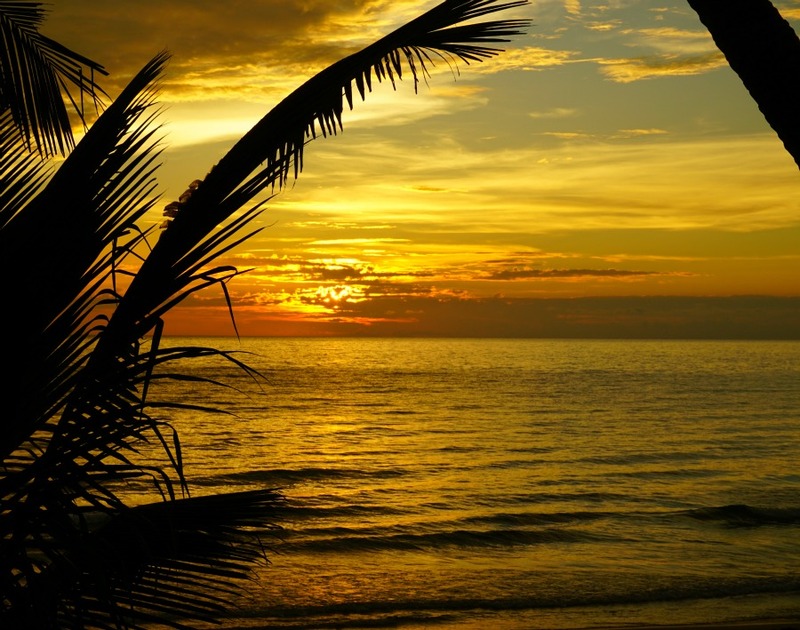 Koh Pangan Island in Thailand is world renown for it’s full moon party. Believe it or not this small island has much more to offer than just drinking and polluting a beach for 24 hours, especially for the fitness inclined. There is snorkeling, diving, competitive beach volleyball, yoga retreats and stand up paddle boarding to name just a few! 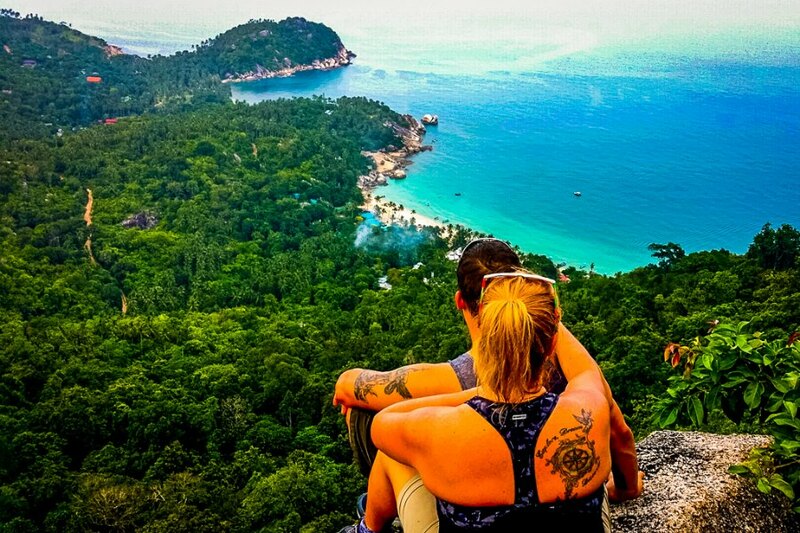 One of the best activities you can do on Koh Pangan is jungle trekking. My favorite route for this involves leaving Baan Haad Rin where the Full moon party takes place and head up to Stone wall where you get a great view of the town below. You continue from stone wall to another amazing viewpoint overlooking two beaches below and may or may not have a run in with a monkey. The you descend down to Haad Yuan beach. 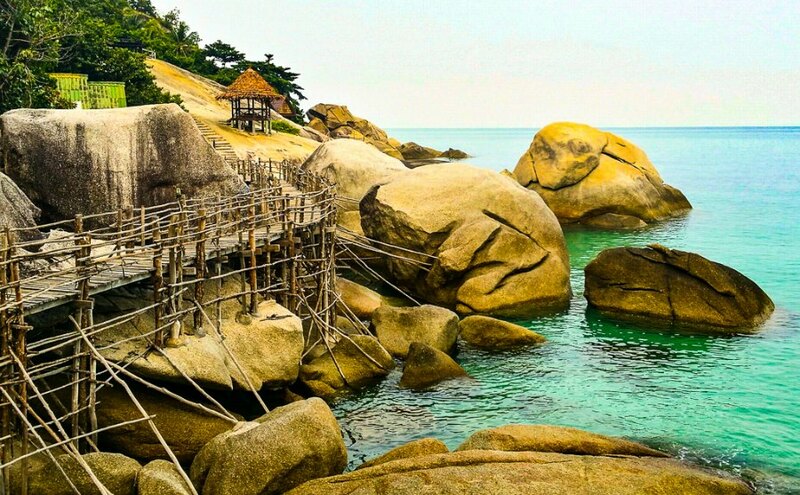 Here you can rest for snack and drink before making your way along the beautiful coastline using bamboo bridges propped up on the rocks. Finally you arrive at “The Sanctuary” a small beach only accessible by boat or hiking and popular with yogis and backpackers. Great place to have a drink, some food and rest after your jungle trek. It is easy to grab a local fishing boat to take you back to Haad Rin. This jungle trek is best to do with a local guide as much of the trail is unmarked and hard to navigate unless you know the way. So if you end finding yourself on Koh Pangan, try to explore the island and add some healthier activities to your trip besides the Full Moon party. 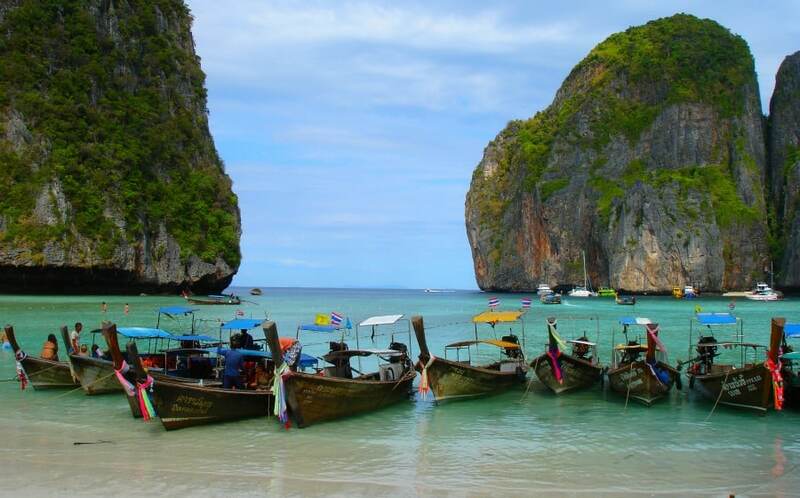 Although Phuket has always been a popular starting point for holidays in Thailand, it sometimes has a bit of a bad rap within the backpacking community. Known for its touristy resorts and the infamously sleazy parties of Patong, Phuket may not seem like much at first, but if you dig a little deeper, you’ll find an island well worth exploring. Phuket offers plenty of opportunities to enjoy a more authentic side of Thailand. Renting a motorbike for the day allows you to check out the sites on your own schedule. Don’t miss the Big Buddha statue which provides 360 degree views of the island, as well as the 3 Beaches Viewpoint. Renting your own bike also means you can cruise along the coast until you find a slice of sand all to yourself, avoiding the overcrowded beaches. To get your fill of delicious Thai cuisine, check out Phuket town’s delicious weekend night market and don’t miss the famous Pad Thai Shop in Karon- it’s the best we had in Thailand! Koh Tao is best known for certifying more scuba divers per year than anywhere else in the world and is a backpacker favorite. During the day you can dive ship wrecks, huge coral reefs and occasionally spot the elusive whale shark. At night eat fresh seafood with your toes in the sand and a reggae band jamming in the background. There are plenty of hikes and lookout points to explore and watch the incredible sunsets. If the hoards of backpackers and fire twirlers on Sairee Beach are a bit much for you, head on over to Chalok Beach for a bit more peace. You can rent a scooter for $8/day and a beach bungalow for $20/night. Or, you can do a more luxurious stay, staying in a villa at Naroua. If you run out of beaches to explore you can hire a long-tail taxi boat and cruise over to Koh Nang Yuan, another tiny patch of paradise about 15 minutes from Koh Tao. Be sure to bring some money, Nang Yuan is a marine nature reserve so you must pay $3 to enter. For more adventures elsewhere in Thailand, check out my post on hiking Doi Chiang Dao. If you are avoiding Thailand because it’s become too touristy, then you need to get to Koh Phra Thong, which is Thailand in its purest form. The island is only a few hours from Phuket, yet it couldn‘t be farther from it. Getting here is an adventure in itself: after a plane to Phuket, a bus, and a motorcycle ride, you will need to find a fisherman to bring you to Koh Phra Thong. But trust me, it’s worth it. I went in October, when it was still low season; I was the only foreigner on the island, and I felt like a little Robinson Crusoe. When I was there, I went every night to the beach to photograph the sky turning all the shades of pink, yellow, purple and orange… and the best part was that I was always alone on the beach. No tourists, just silence, the sound of waves, and the most breathtaking sunsets I’ve ever witnessed. The interior of the island is pretty special as well, as it’s a big, flat savannah that will instantly transport you to Africa: I even saw a king cobra! 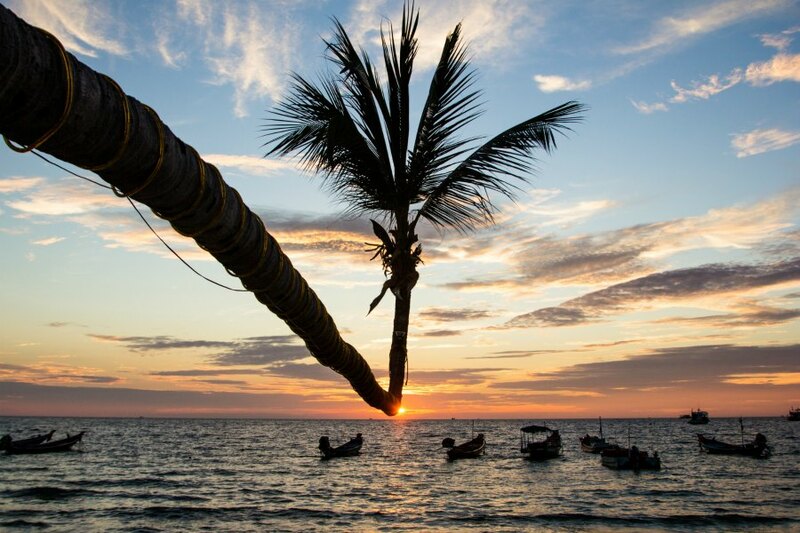 Koh Phra Thong must be Thailand’s best kept secret. Curious about more travels in Asia? Check out EverySteph’s Asia Destinations. We are Stefan and Sebastien, gay couple travelling the world and Nomadic Boys is our blog chronicling our adventures. During our trip to Thailand’s Southwest Andaman islands in February 2015, we wanted to spend a few days experiencing a Robinson Crusoe like island, cut off from it all. We were undecided between Koh Adang and Koh Tarutao. We went with Koh Tarutao and fell in love with it. The Southwestern most islands of Thailand sit just before the Malaysian border and collectively form the Tarutao National Marine Park. Koh Tarutao is the largest island in the Tarutao National Marine Park and a former concentration camp for political prisoners. It’s got camping grounds and huts to suit all budgets. Koh Tarutao is an adventure enthusiast’s paradise. There are beautiful hikes through the thick jungle, cycling trails, coral for snorkelling and the surrounding water calm enough for canoeing. 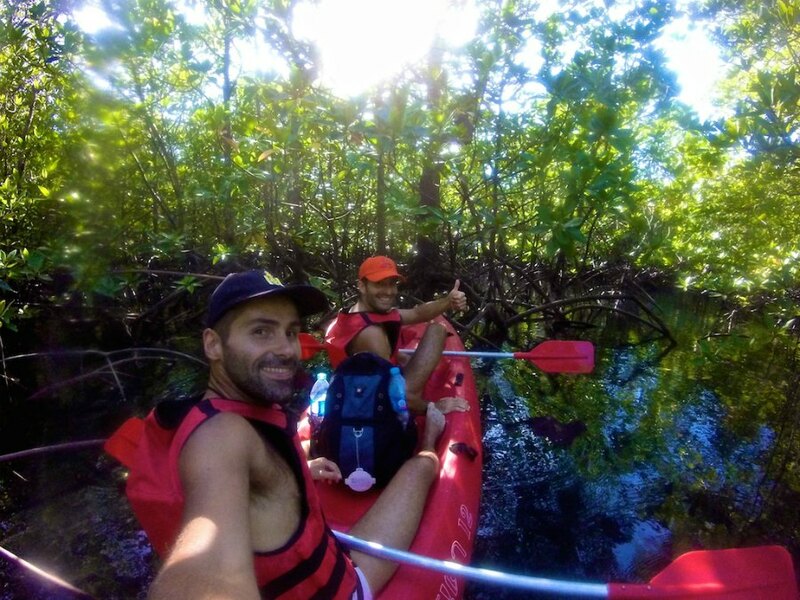 Our favourite was canoeing through the mangrove forest to an abandoned crocodile cave. Upon entering the cave, you’re in pitch-black darkness and you need torchlight to navigate yourself and dodge the bat pooh from above. 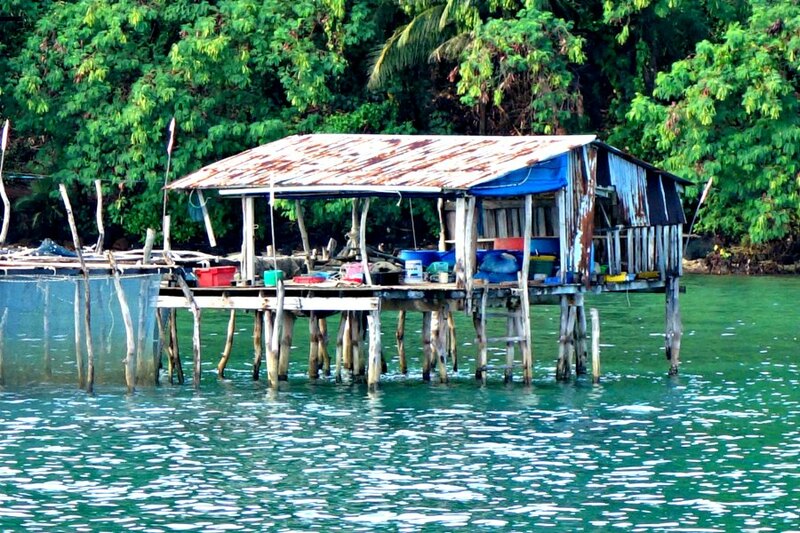 This scenic fishing village is built on stilts and has been here for two centuries. The population is 99% Muslim, and the 200 families living here are said to have descended from just two families that migrated here from Java in Indonesia. The turrets of the island’s mosque were visible as we approached. Fishing remains the chief activity, but tourism has taken over with a huge covered market and villagers make money by providing lunch to the boatloads of visitors. I enjoyed wandering the narrow piers behind the market, where I could view homes and see people busy at traditional tasks. Thailand is a magical place and has hundred’s of Koh’s to choose from, but there is this one island that is my favorite place in the world. Koh Lipe is an island many have never heard of, if you ask me it is one of Thailand’s best kept secrets. Koh Lipe is only accessible via boat from Pak Bara Thailand, Langkawi Malaysia, or the ferries that service many nearby islands. Because Koh Lipe isn’t easily accessible it isn’t overrun with tourists and is definitely not a party island. I like to lay on the white beaches and just take in the views. There are amazing day trips you can take to the nearby islands, and if you are a diver you’ll be in heaven. Koh Lipe has top notch sunsets, you could head to Sunset Beach or I prefer the tip of Sunrise Beach for sunset. 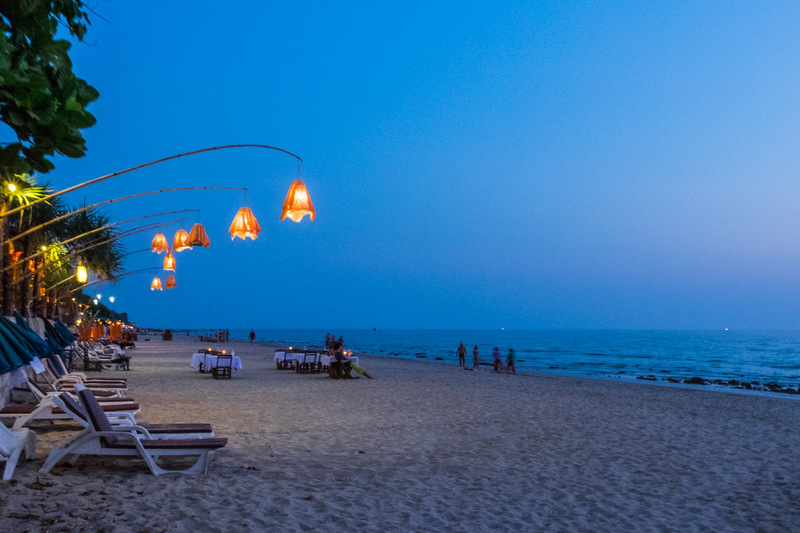 My favorite restaurant is on Sunrise Beach, which is quite obvious by its name Sunrise Beach Restaurant make sure to get the Penang curry & papaya salad! Head into “town” tons of restaurants, shops, bars, and even a 7-eleven on walking street. Yes, the street is called Walking Street, no need to rent a bike here everything can be reached by just walking. Just rent a beach hut and fall asleep to the waves crashing right outside your front door. Koh Lipe I love you! There are so many beautiful islands off of Thailand and now I have to pick just one as my favorite? The thing is, whenever anyone asks me about my favorite place to visit, it is usually the last place I’ve been to. So, when asked to choose one of the islands of Thailand as my favorite, I choose Koh Mak. Only accessible by boat, Koh Mak is known for its white sandy beaches and clear blue water. Koh Mak can easily be reached by sea kayak or boat rental from the lighthouse in Trat, which is south of Krabi. The boat ride is fun and scenic. One of the reasons, I love this island is Koh Mak Resort, a completely sustainable hotel that grows all its own fruits and vegetables on the premises and is powered by 28 solar powered car Batteries! Yes, car batteries and solar energy! 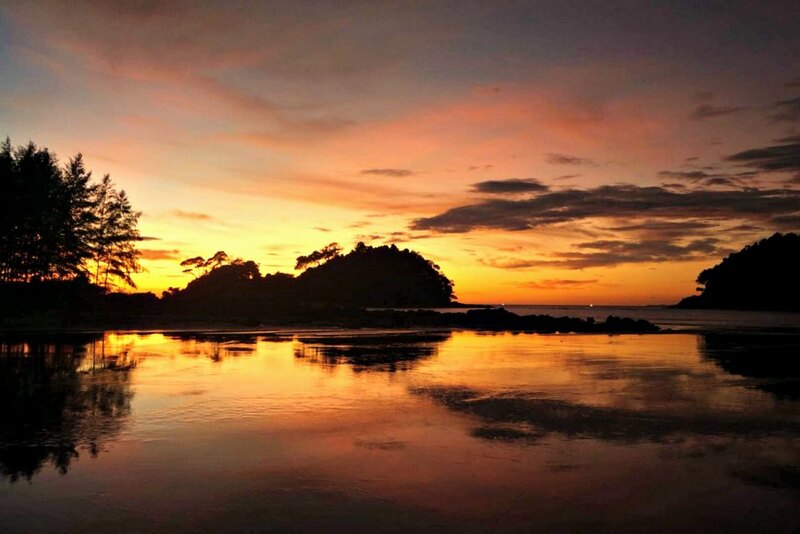 Koh Mak is the largest privately owned island in Thailand. Koh Miang is Island #4 in the Similan Islands, not far from Phuket in the Andaman Sea. Unlike many other island groups in the region, the Similans are relatively untouched and have not suffered the harmful effects of tourism experienced by nearby areas. Although they are becoming increasingly popular, they are still very pristine and are said to contain some of the best diving and snorkelling in Thailand. A large reason for their protection is that they are located inside a national park. 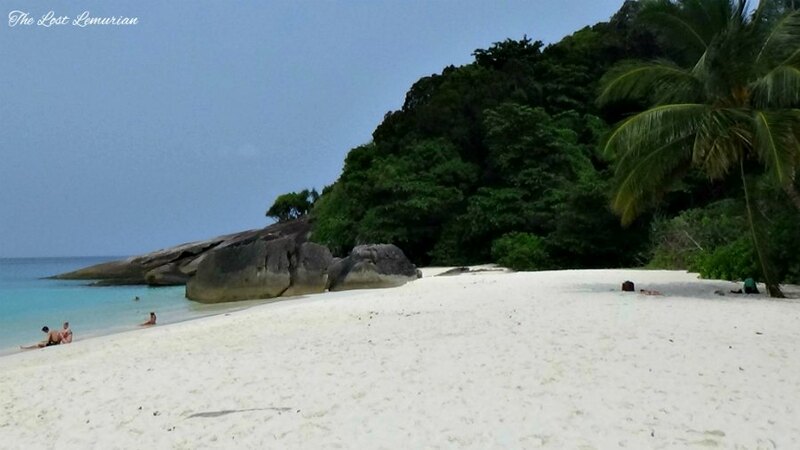 Overnight accommodation is not possible in the Similan Islands except on Koh Miang, where your choices are roughing it in a tent or staying in some wooden bungalows which, although nice, book out well in advance. I am sure it would be worth it though — I only visited for the day but I can imagine how idyllic and peaceful it would be watching the sun set after everybody else has gone home. 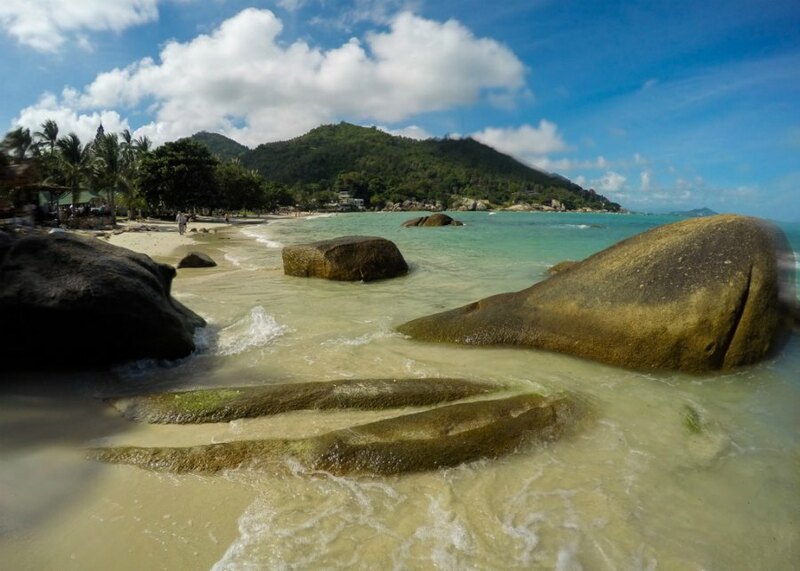 The main features of Koh Miang are Princess Bay and Honeymoon Bay, located on separate sides of the island and connected by a short path through the forested interior. Princess Bay is smooth and perfect for swimming, whilst Honeymoon Bay is dotted with huge boulders and interesting rock formations. The sand on both sides of the island is soft and white, and the water is crystal clear. The island does get busy with day trippers but even with the relatively large numbers of people visiting, you can still find a quiet spot to chill out and relax. 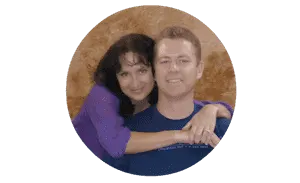 Note: Some of the links on this page are affiliate links, which means that if you click on them, we may get a small referral fee at no additional cost to you. So click away! And if you do – thanks so much – we appreciate your support. i have always been wanting to go to Thailand…and looking at these photos, i want to get there already…. Our pleasure – thanks for contributing! Great roundup of Thai Islands that I hope to visit someday. I truly and thoroughly loved the week my wife and I spent in Koh Chang and we’ll definitely keep these in mind when going back. Thanks so much for sharing! So many beautiful beaches in thailand, I had no idea – hard to choose where to start. Just returned from Koh Lipe, what a dreamy place. Can’t wait to go back! I have only been to Koh Lanta and Koh Tao (and Koh Phi Phi) but I wanted to see more of the islands. 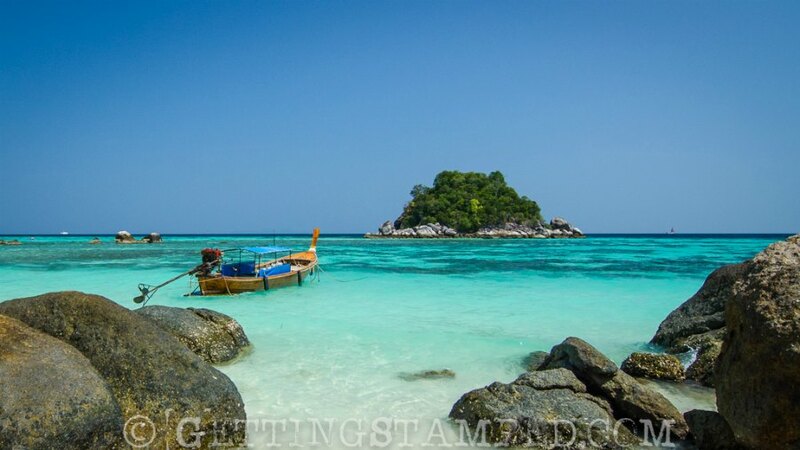 Koh Chang and Koh Lipe look amazing. 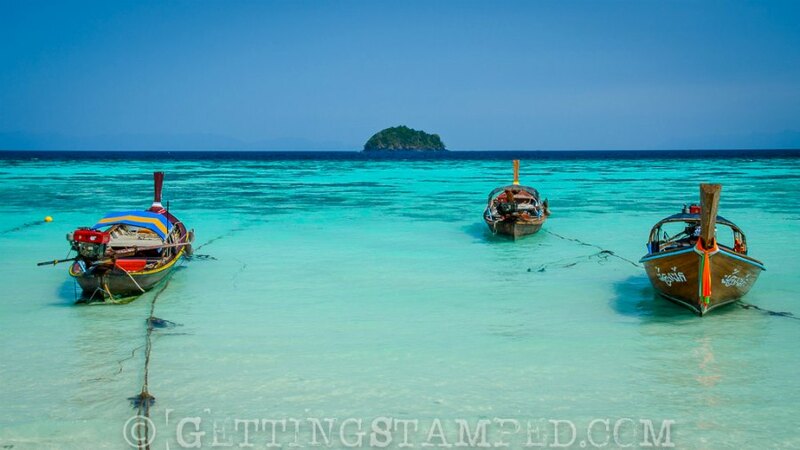 Man, us bloggers need to stop mentioning Koh Lipe before it becomes overrun by backpackers and sinks into the sea! I’m going for the first time in January and will surely use this as a reference for island hopping. Hope to get my dive cert as well. Thanks for the writeup!